Convenient for customers and for grocery retailers' bottom line. 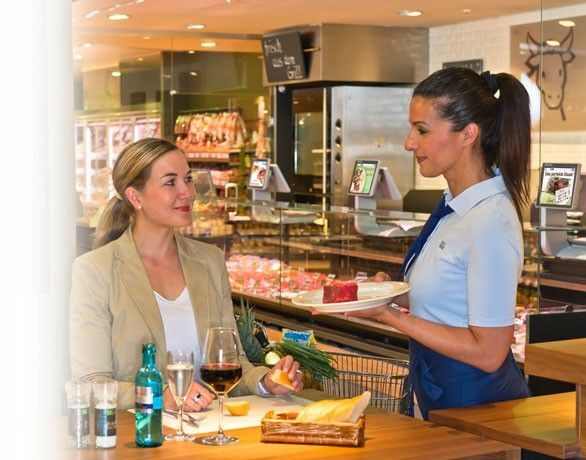 Whether for an in-store restaurant, specialty area or franchised shop-in-shop concept, METTLER TOLEDO is the ideal partner for innovative retail solutions - on both sides of the checkout area. Our weighing and payment collection systems offer retailers flexibility to extend the shopping experience beyond the checkout. 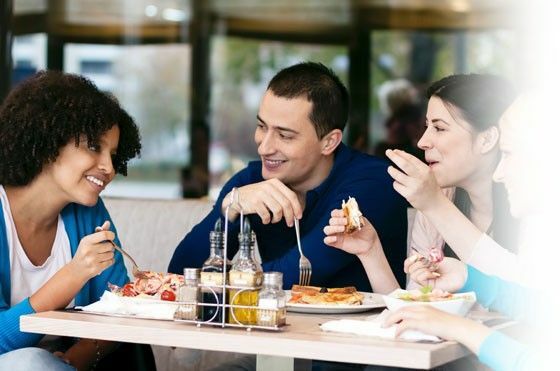 Whether your customers are looking for a quick and tasty bite to eat at the in-store restaurant or quick service at your specialty shop, METTLER TOLEDO is your ideal partner for innovative retail solutions—designed to keep your customers moving. Our weighing and payment collection systems offer you the flexibility to extend your customers’ shopping experience beyond checkout. METTLER TOLEDO Retail’s solutions for your specialty area consistently focus on handling transactions quickly and effectively. Our proven solutions for weighing and payment collection enable your staff to perform their work efficiently, thus guaranteeing rapid service for your customers in specialty areas such as in-store snack bars, frozen yogurt and candy shops. METTLER TOLEDO can help you manage the diversity of your operations with our wide range of retail solutions. We can support you with touchscreen and tactile retail scales; stand-alone solutions with cash drawers and checkout software; digital shopper marketing applications; scales with open PC architecture, compatible with point-of-sale and checkout software from third-party developers; and lifecycle maintenance solutions. With groundbreaking and trend-setting shop concepts, METTLER TOLEDO Retail can help you transform a trip to the grocery store into a complete shopping and dining experience. METTLER TOLEDO illustrates process models for in-store digital marketing and shares recommendations to successfully integrate cross-promotion and in-store marketing at the fresh counters, including opportunities in the specialty area with deli boards, menus and digital signage. All METTLER TOLEDO touchscreen scales for the specialty area are equipped with a time-controlled display deactivation button. This allows grocery retailers to define power-saving modes, including various operating periods, shut-downs, and disconnections from the network. Benefit from a reduction in electricity consumption by as much as 25 percent.